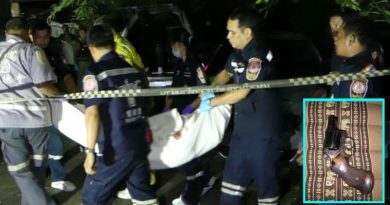 A KOH Samui taxi driver is the latest person to die at the island’s infamous “Death Bend” where many others have already lost their lives or got injured, Thai News Agency said today (Oct. 2). 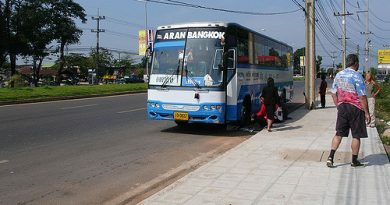 This severe road bend, with its real name being Takiang or Lantern Bend, lies on the Chawang Beach to Choeng Mon road in Bor Phut area and is unlit and usually deserted. 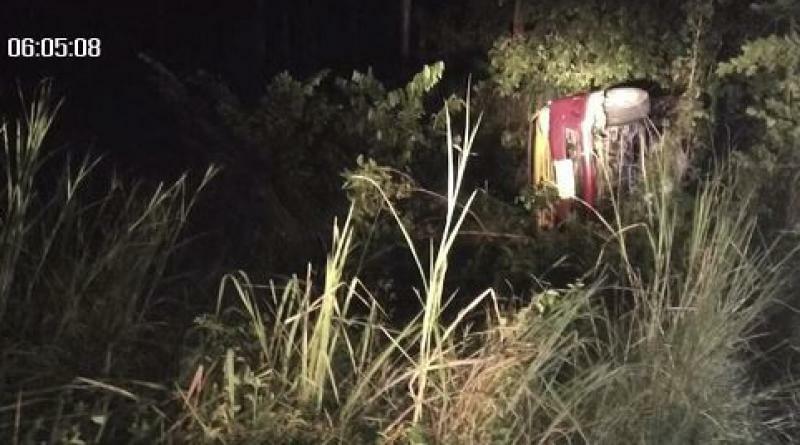 The body of the Koh Samui taxi driver, Manit Sahingdorn, 49, was found in the cab which had overturned by the forested roadside after sliding 30 meters down the slippery road. It was later discovered that he had just returned from dropping off foreign tourists when his red and yellow cab flipped over killing him on the stop. Local residents say Takiang or Lantern Bend, is an enigma because many vehicles have already had accidents here leading to many deaths and injuries. They urged officials to install road lights for long term protection and prevention of accidents.